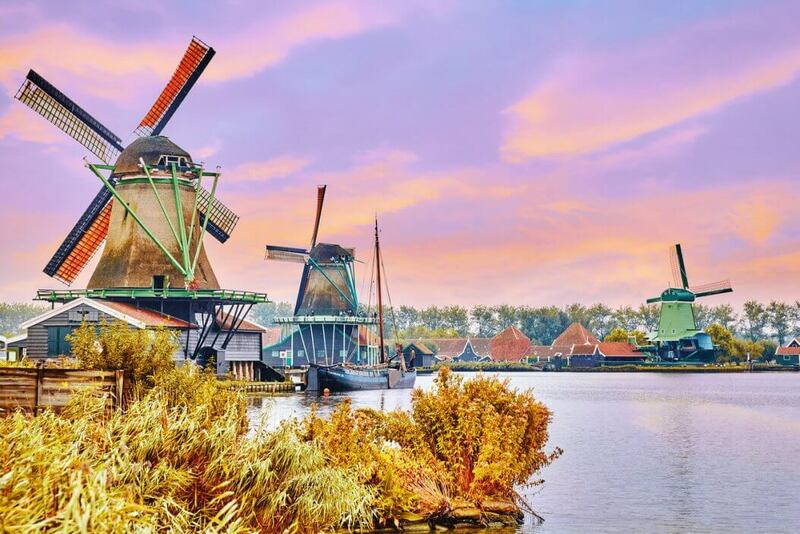 For many tourists the Zaanse Schans with its eight beautiful windmills in a row is the ultimate Dutch scene . It certainly belongs in the list of things to do and see while in Holland along with eating cheese, wearing clogs and seeing the dikes and flower fields. The Zaanse Schans offers a beautiful backdrop for both a festive occasion as a business meeting. It is a wonderful sight to see the windmills mirrored in the water.. The Zaanse Schans has much more to offer. From 1961 many old buildings were moved there in order to keep them together in one place for the future. Spread throughout the grounds in total fifteen mills, including a spice mill and the only working paint mill in the world. Other properties accommodate a shipyard, a clog making factory, the reconstructed grocer Albert Heijn, a cheese factory and a restaurant. There is plenty to do and see. Of course, the crew of the boat cruise you can also indulge in any kind of catering. Scattered along the Zaan are many old factories. They are part of an old industrial area that once, four centuries ago, began with a single sawmill. In recent decades, the industry has found a place outside the city. Fortunately, many of the beautiful, ancient giants were saved by giving them a new purpose. 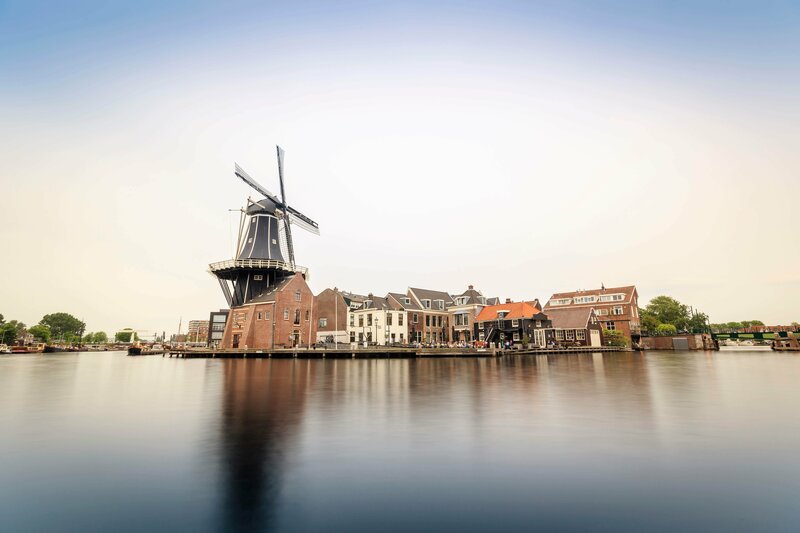 If you cruise with one of our salon boats on the Zaan, you have the best view of the former Verkadefabriek, soapfactory The Eagle, the old honey factory and all the other impressive buildings. Would you like an expert guide on board that tells all about the industrial past of the Zaan? We are happy to arrange for you. With Rederij Belle you can rent a boat for each route between Amsterdam IJ and the Alkmaardermeer.